The showrunner shared that she regrets killing the actor Kyle Chandler (Coach Taylor from Friday Night Lights!!!) off in the 2006 episode about the man with a bomb stuck inside his stomach. If you'll remember, the bomb ends up exploding, killing the bomb specialist, played by Kyle. I cried a lot, and you probably did, too! It was very emotional! Apparently it was emotional for Kyle, as well, and he begged Shonda not to kill him off. "He would pitch me ideas on how Dylan, his character, could maybe not explode," Shonda said. "I would show him the line in the script that said, 'Dylan explodes.' That's literally all it said. He was written to explode." Well, now she regrets it. "I did not expect to have Kyle Chandler," Rhimes shared. "I didn't want to explode him." Ellen Pompeo, who plays Meredith Grey, also chimed in. "I remember thinking Kyle Chandler was amazing," Ellen said. "I wasn't surprised his career really took off after that because he was so natural." It's nice to know that even Shonda Rhimes makes mistakes. I now feel less terrible over eating two giant donuts for breakfast because, hey. 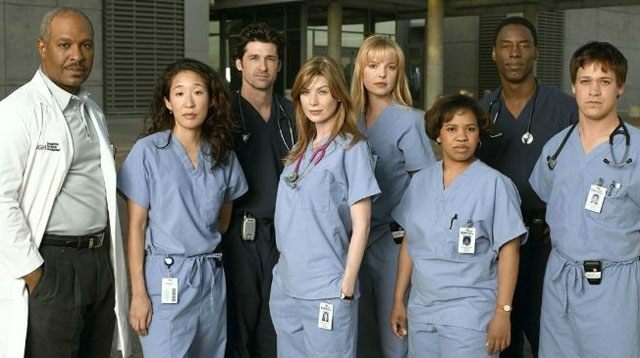 Even Shonda Rhimes makes mistakes—and at least mine didn't involve killing Coach Taylor!